Brett Dillon, left, introducing songwriters into the Round 2 segment of the 2019 Rusty Wier contest. Story and photos by Mary Jane Farmer. Anyone is welcome to download a photo without charge. These are saved on Flickr.com, click here, at 7×5, 360 dpi. It’s back on, folks — The 9th yearly Rusty Wier singer/songwriter contest held at Love & War in Texas every winter. After a 2-week break, Round 2 began Sunday, Feb. 10, with six of the 18 remaining talented contestants presenting their original songs in two-people songswaps. And, oh, what talent was on that L&W stage Sunday afternoon! The line-up had Boomer Lowrie and Reid Perry hitting the stage first, followed by Dave Thomas and Matt Johnson. Justin Cashion and Byron Dowd closed it out. Amazingly well-crafted songs from each one of them, some humorous, some poignant, some told stories, some told emotions. Well, almost — Actually, two of the judges, Aubrey Lynn and Dustin Hendricks played two songs after the contest was over. 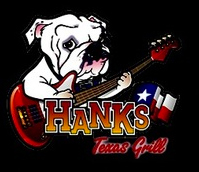 Aubrey Lynn was the Hank’s Texas Grill open mic contest years ago with that powerful, pitch-perfect voice of hers. L&W fans first heard that voice on its stage before that, when she sang “The Star Spangled Banner” to open a Shiner Sunday concert. Texas musicians Jamie Richards and Walt Wilkins, not to mention KHYI’s Brett Dillon and Diana Love. The promoters said there are a limited number of spots still available and offered a $500 discount for those who signed up. Go to that Website for more information. These six songwriters are not just vying against each other, but against the other 12 still playing in this round. Next Sunday will have Harley Dale Brown, Kevin Edwards, Stacey Shope, Zach Pohl, Parker Twomey, and Town Walsh in the contest; and then, on February 24, it will be James Lann, Saille Branch, Nick Flint, Jared Thomas, Larry Martin, and Mitchell Ferguson rounding out Round 2. These shows all start at 4 pm and there’s never a cover charge to attend. 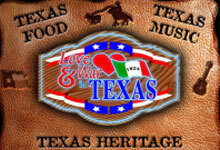 Love & War in Texas is at the northeast corner of U.S. 75 and Plano Parkway, and there’s plenty of free parking. And, as a BTW, last year’s winner, Justin Pickard, is playing tonight at El Patio Escondido in Van Alstyne, starting about 6:30 pm. No cover charge here, either, and it has the best genuine Tex-Mex food in North Texas, bar none!